Before I started a travel blog I had no idea what I was getting into. To be fair, I originally started this blog in order to simply keep family and friends updated on my travels. Despite this, I had secret hopes that one day lots of people would read my blog and find it useful. My blog only had 123 views in 2016. In 2017 alone, my blog earned 5,944 views and in 2018 I more than doubled my traffic again to reach 15,204 views. In total, by the end of 2018, my blog had been viewed 21,271 times. If this seems absolutely insane to you, or you feel like you’ve been blogging forever without seeing results, then this post is for you. Here’s what I did to (more than) double and grow blog traffic in one year (twice). This post contains affiliate links. Should you decide to purchase something from one of my affiliates I will receive a small commission at no extra cost to you. Check out my Affiliates Page for more info. Grow Blog Traffic: Where Should You Put Your Keywords? 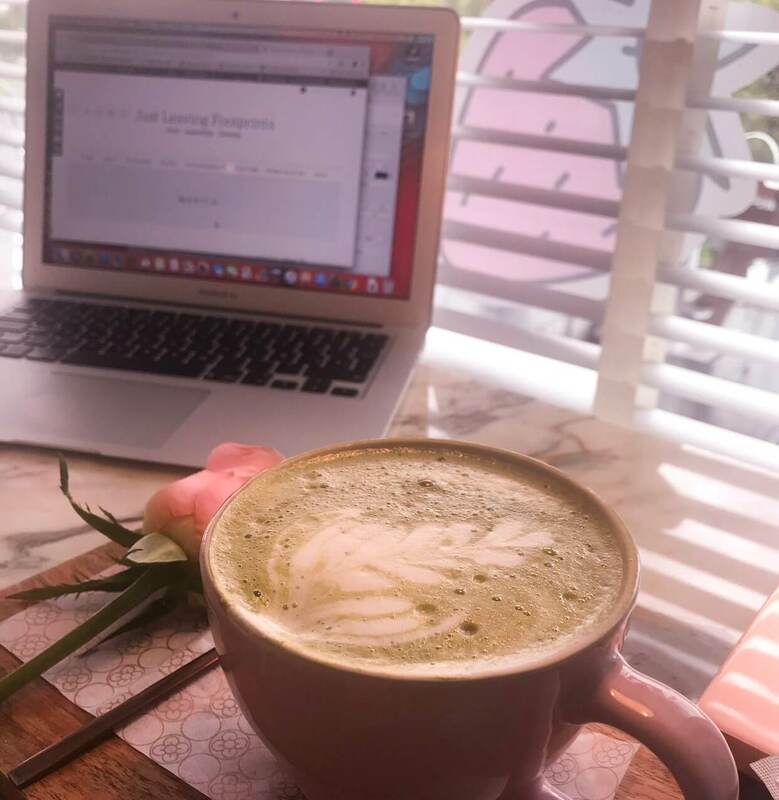 Blogging and reading with a good cup of coffee, what could be better? If you really want to see your blog grow, you need to write for an audience. That may seem obvious but I see so many bloggers writing more for themselves than for an audience. When I first started travel blogging, I wrote a lot of personal short stories about what happened to me on certain trips. Even though some of these stories were funny, they just weren’t what people were searching for on the internet. If you’re hoping to write mainly about personal experiences and funny mishaps on your travels, be prepared. Your stories need to be super entertaining or hilarious for people to read them online. In order to write for an audience you need to figure out how to provide VALUE to your readers. How can you help your readers out on their next trip? For example, because I live in Mexico City, I can write a lot of content that will help travelers to Mexico City plan their trips. I have articles on this blog about good hikes near Mexico City, how to visit Mexico without knowing Spanish, and so much more. Ask yourself what you’re an expert on. Write about the best restaurants in your hometown or travel guides for places you know really well. These will help your readers plan their own trips and will provide real value to them. Trust me, there are many more people online searching for trip planning tips than there are people searching for personal stories about how you had an epiphany while on an airplane. Keep in mind that this isn’t to say you should never write personal stories or edit your personality out of your blog posts. I definitely think there is a time and a place for those kinds of stories too. For example, I wrote this post about how I got lost in the Andes and learned a lot about not stressing too much over trip details. However, I believe that the MAJORITY of your travel blog content should be more geared towards helping your reader travel. By all means, write some personal stories, but focus most of your energy on helping your reader plan trips. Now, most of my personal stories go into my private journal, and my travel tips stay on my blog. I never travel without a reusable tote bag. This one is one that I gave away for an Instagram contest. It seems like there are gazillions of travel blogs out there, so how will yours stand out? After blogging for a while I realized my blog needed to be more specific. That’s when I realized I wanted to write more about sustainable tourism. All of a sudden, my blog was no longer just another travel blog. It had become a Sustainable Travel Blog. I started writing about offsetting carbon emissions when you fly, and eco-friendly gifts to buy for travelers for Christmas and much more. I also became a vegetarian and started writing vegetarian city guides. This helped me attract a certain kind of audience. My audience was now not just travelers, but eco-conscious travelers. When I established a specific niche it got so much easier to figure out what blog posts to write about. Not only that, but my posts became more specific and provided more value. My posts were providing more value because I was PASSIONATE about my niche. Not only was I helping people travel, I was helping people travel more sustainably. When you’re passionate about something, it often shows in your writing. A passionate blogger will attract more readers to their blog than someone who is simply blogging to try and make money. Blogging (and especially SEO) are easier with delicious vegan eats. SEO, or Search Engine Optimization, is how you can optimize your blog in order to be more easily found by search engines. I recommend downloading the plugin Yoast SEO so you can set up keywords and meta descriptions for your blog posts with it. If you’re not sure what keywords and meta descriptions are, hang tight, I will explain it below. Ok so keywords are pretty self explanatory. They are words that you add into the Yoast SEO plugin that relate to your blog post and help your blog post show up on search engines. I highly recommend also getting a membership with Keysearch so you can figure out which keywords will help you rank better on Google. I can guarantee you that I would not be getting the amount of blog views I get today if it weren’t for Keysearch. When I first my post about the Atacama Desert, I made a huge Keyword mistake. When I first started blogging, I thought a keyword was just one word that related to your post. For my post about how to spend four days in the Atacama Desert, I just put the keyword, ‘Atacama’. I had no idea how problematic this was. First of all, your keyword for a post needs to be a short phrase. Otherwise your post will get so lost and probably end up on one of the very last pages of Google. After using Keysearch and typing in various phrases, I learned that the best keyword I could use to direct traffic to that post was ‘Four Days in the Atacama Desert’. That way when people search for travel tips to the Atacama Desert, my post is much more likely to show up higher in Google’s search engine. This is because it’s much more specific. Getting really serious about SEO took a lot of hard work and time because I now had to go back through all my old blog posts and edit them so they ranked better in search engines. At least one subheading in your blog post. Keep in mind that SEO doesn’t improve immediately after you fix up all the keywords in your post. It can take months before you actually notice a difference in blog traffic. This is simply because search engines need time to notice the changes you’ve made. Such a nice place to do some blogging. Cafebrería, Mexico City. Search Engines like Google, like it better when you write longer blog posts. Now, this doesn’t mean that you should use a ton of filler words or go off on tangents in your writing. Google likes it best when your blog posts are long and full to the brim with relevant information and value. For example, this blog post is already well over 1,000 words, but it is as helpful as I can possibly make it. Your blog posts should ideally be over 1,000 words long but it’s even better if they are more like 2,000 or 3,000 words long. If the post is any longer than that, just be sure that all the information you are including is relevant and helpful. The other thing that search engines like, is when you post to your blog consistently. If you only post one blog post every two months, Google is going to assume that your blog just isn’t that relevant. You need to consistently be updating old blog posts, and publishing new ones. The frequency to which you do this could differ will differ greatly person to person. In 2017, I mainly worked on updating old blog posts and so I wasn’t posting new posts very consistently. It wasn’t until the end of 2018 where I started trying to post at least 3 times a month, if not once a week. Keep in mind that I don’t always follow through on this, but I really try to. Even my pug, Mowgli, got serious about social media with me. After I had been blogging for a bit I started taking notice of what other bloggers were doing. I noticed that they were promoting their blog posts like crazy on social media. Due to this, I realized I needed to set up a Facebook page, Pinterest page, Instagram and Twitter account all for my blog. However, I didn’t go ahead and set up all brand new accounts. Aside from the Facebook page, I just transformed the accounts I already had so they were blog focused. This allowed me to keep most of the followers I already had, and promote my blog to them. Last year my top three sources of blog traffic were Pinterest, Google and Facebook. Please keep in mind that everyone’s main sources of blog traffic will be different. For example, Pinterest and Facebook work great for me and my SEO is improving, but my Twitter and Instagram rarely send visitors to my website. However, I know of other travel bloggers who get almost all their traffic from Instagram and Twitter and don’t even have Pinterest pages. It’s different for every person and blog. You will most likely excel at the types of social media that you already use more, and understand best. I started pinning more often, at first, once a day, and now once a week. The 80/20 rule helped me a lot. I pinned 80% of other peoples’ pins and 20% of my own so I wouldn’t seem spammy. Focusing in on travel helped me too. I deleted all my old boards that didn’t have enough to do with travel or sustainability and made new boards that were travel focused. I created a specific ‘look’. Using Canva, I created matching cover photos for each board with the boards’ titles on them. I started going through old blog posts and deleting old/ugly pins. After deleting the old pins that weren’t getting much traffic, I created new ones on Canva, using three set templates with matching fonts and shapes (you can see my pin styles at the bottom of this post). Right now I’m finishing up fixing all my old Pinterest pins and then I am going to get a membership with Tailwind, which helps you schedule out your pins to be pinned on different days. This is an awesome tool because it allows you to just spend one day scheduling and promoting your blog posts, instead of having to do it a little each day. Be sure to look up discount codes for Tailwind as it can be expensive without them (there are lots of influencers with discount codes online). I started sharing more of other people’s content, not just my own blog posts. I linked my Instagram page and my Facebook page together so that when I post to Instagram, I also have the option of posting to Facebook. This way, I’m not just posting a ton of blog posts, but I break up the content with some fun photos of my travels as well. Facebook (and most social media platforms) are very visual, so I used Canva again to create a logo on top of a travel photo. Then, I used that photo as the cover photo for my Facebook Page. I added a ‘Learn More’ Button that leads straight to my blog’s home page. I finally took the time to fill in the ‘About’ section of my Facebook Page. In this section I added a photo and a story of how my blog got started and what the main vision behind Just Leaving Footprints is. I invited almost every single one of my Facebook friends to like my page. Not all of them ‘liked’ it and that’s ok. You’ll never know if you don’t ask. If a blog post I was going to promote on Facebook mentioned other brands or websites, I tagged their Facebook Pages in the post as well. That way it was easy for them to see I had mentioned them in my articles and they often got excited and shared my post that way as well. You know how you can ‘like’ and ‘follow’ different pages on Facebook as an individual? You can also make your Facebook Page ‘like’ and ‘follow’ other pages. I followed other travel bloggers directly from my Facebook Page and received from followers back from this as well. I started sharing each of my blog posts first to my Facebook page, and then to my own personal Facebook Timeline. Here’s a look at some of the photos from my Instagram page. Instagram has been awesome for my blog, but not in the way you might think. Can I be real honest and say that I absolutely hate how Instagram doesn’t let you have the ‘Swipe Up’ feature unless you have 10k followers? Am I the only annoyed by that? I also really don’t like how much of Instagram is ‘follow for follow’. My Instagram follower count has hovered around the 2,300-2,500 mark for over a year. It’s not really growing a whole lot. Also, because I don’t have the coveted ‘Swipe Up’ feature, I don’t get a ton of people reading my blog directly from Instagram. HOWEVER, I still LOVE Instagram and this is why: I am a very visual learner, and I love art and travel photography. Not only has Instagram allowed me to put together my favorite travel photos in a way that I love, it’s also connected me to a ton of inspiring people. I have met multiple travel bloggers and photographers on Instagram first, and then in real life. Instagram has been huge for connecting me to other bloggers who I have ended up collaborating on different blog posts with. So, even though I personally haven’t figured out how to gain a ton of readers from Instagram, I have still found a wonderful community there. Instead of bashing my head against the wall when I didn’t understand something, I asked for help. It takes a long time to get used to the back end of blogging. I really wouldn’t know which plugins were best, or how to add social sharing buttons if I hadn’t asked for help. Luckily for me, my husband works in computer science, so he has been very helpful to my blog’s success. I also ended up asking Google a lot of questions as well as posting questions in the Female Travel Bloggers Facebook Group. I would highly recommend joining Facebook Groups for bloggers so you can ask questions and collaborate with other bloggers. Relaxing in Hope, BC, Canada. Instead of just pushing myself to get a million things done all the time, I let myself relax. If on a certain day, or week, I wasn’t feeling inspired, I took time off. I truly think this helped me a lot because it made blogging more fun. If I had forced myself to continue blogging and working on old posts when I felt drained, blogging would have turned into a chore. I started blogging because I’m passionate about travel and sustainable tourism. I don’t want to push myself when I’m low, because I want to stay passionate. Plus I get twice as much work done, twice as quickly, when I’m inspired, than if I try to force it too much. Just Leaving Footprints WordPress Blog Stats as of January, 2019. To be honest, this one is a work in progress. I still compare myself to others sometimes, but not nearly as much as I used to. Something that has really helped me to stop comparing is to look at my own blog’s growth. I had less than 200 blog views in 2016 but in 2018 I got over 15,000 views! That’s something that I am insanely proud of. Even when I see other travel bloggers getting three times as many views within smaller amounts of time, I’m still insanely grateful as to how far I’ve come personally. I think it helps that when I originally started this blog it was just a passion project. I never expected to have people other than my family and friends read it at first so that definitely helps me stay inspired. My hope is that this article has helped you in your own blogging journey! Please let me know in the comments if you found this article useful or have any questions. Planning a Trip? Get the Best Hotel Deals Below!